How to apply glass screen guard flawlessly, even if your phone isn’t brand new? 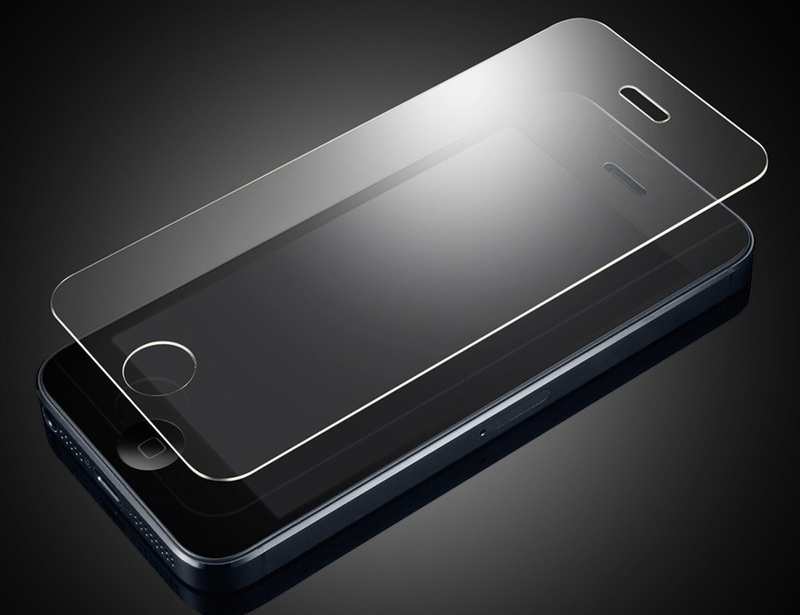 When it comes to mobile phones, the best screen protection is tempered glass. Tempered glass offers the best screen protection for modern phones because it is designed to take the impact on behalf of the screen. What that means for you, is $30 screen guard could save you $200 in screen repairs. Sounds worth it, right? But what I find most often, is that the average person has a difficult time applying their glass screen guard. They get bubbles all over, dust or hair on the lit part of the screen…or just plain crooked. 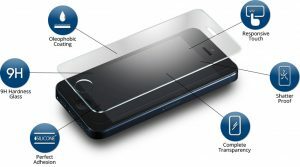 So how to apply a glass screen guard flawlessly every time? Place the phone on a clean, dusted hard surface. My preference is to have phone facing the same way that you will hold the screen guard during application (keep reading to understand what this means). Adjust the lighting so that you can see every detail of the phone’s screens (scratches, hairs, dust, etc). If your phone is not brand new, or does not still have the packaging covering the screen, use the MicroFiber Cloth to clean the screen to perfection. Tilt the light or your head to make sure all debris has been removed from the screen. If you find everything but dust is removed, go to Step 3. Use the compressed air to blow off the tempered glass guard – blow both sides free of any debris (DO NOT REMOVE THE FILM YET). Use the compressed air to blow off the phone’s screen to be free of any debris. Use a 2″ (inch) piece of scotch tape and dab it on the screen to remove any remaining dust, hair or small particles. This is one of the most important tasks. 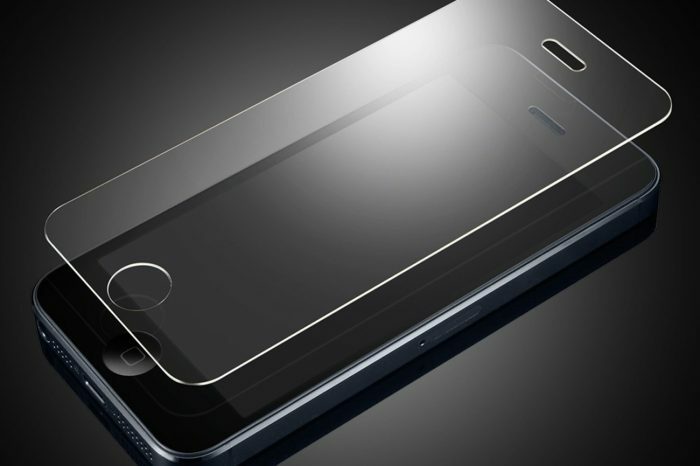 For a perfect application the screen must be absolutely free of debris, this is the most important step of how to apply glass screen guard. Hold the screen guard film-side down. The film is the removable plastic, this is the side of the screen guard that sticks or adheres to the phone screen. Hold it in the same alignment as the phone. Quickly align the screen guard to the phone screen. Slowly lower it over the screen and press once in the middle, then let the screen adhere it’s self. Look for any blemishes. Did any dust get caught underneath? Use this trick to get any dust particles out. Slowly lift the corner where the dust is located (use the plastic pry or your finger nail) – be careful not to scratch the adhesive underneath. With the corner lifted slightly, slip a piece of scotch tape underneath and dab onto the spot where the dust is to remove it, then quickly press the corner back down. Repeat this process until all dust and hairs are removed. Press down the edges for a perfect finish. Pro Tip: If you phone has an all black screen – turn ON the phone to a while screen so that you can see the outline where the screen guard should align. Turn on the screen while you align the screen guard. Turn off the screen again while you inspect for any trapped dust particles. And THAT is how to apply glass screen guard flawlessly to any mobile phone. Check out this video I took of my colleague applying a screen guard.